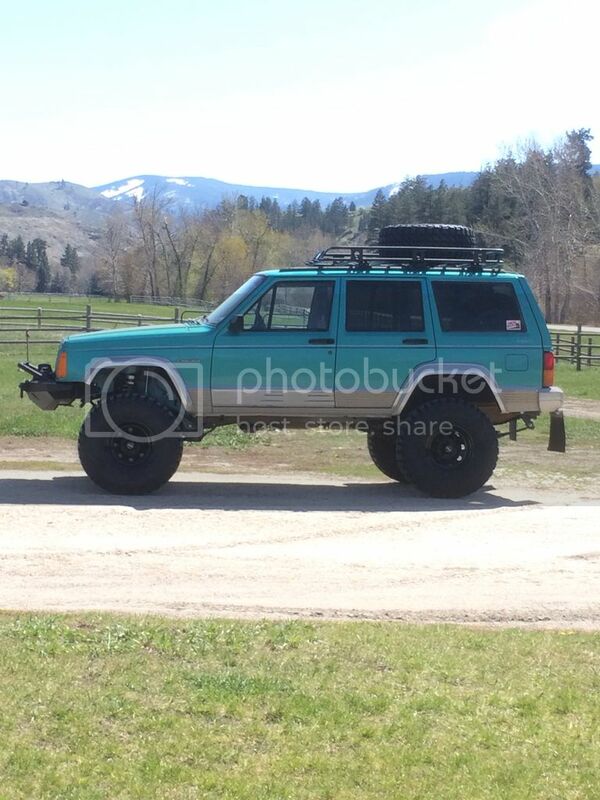 Just joined the forum to have access to answers and help for the wife's '94 Country. West of Livingston MT. here. 1st test. Stock 3.55 gearing, open diffs. Somewhere East of Georgetown lake. Did about 8 miles of trail, took us all day. Winch is a must, and the Smittybuilt 9.5 XRC kicked ***! One of the best winches I have ever used. I'm in Bozeman. I have a '97 Cherokee and a '08 Grand Cherokee. Had a '93 YJ, regret selling it. I work overseas (military contractor) but will check this forum regularly. Trail coming out of Medicine lake. May be time for me to cut and fold fenders! Hey Force. I know where you live! 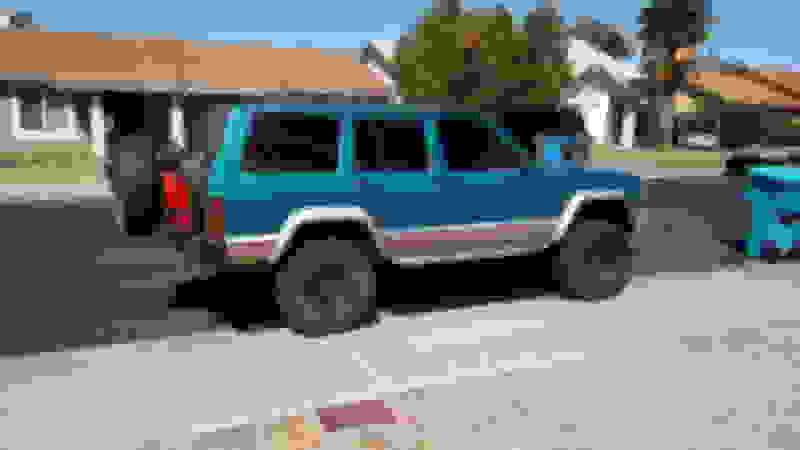 Haha Ive seen your XJ maybe 10x heading over Skalkaho en route to the 4x4 trails by Maxville. What the flick! Are you spying on me? It's kinda hard to stay incognito with something this color! Ian, I thought you sold your XJ. What were you driving? Next time stop by and say "hi"
I have Beer ! Got some questions about those trails near Maxville. 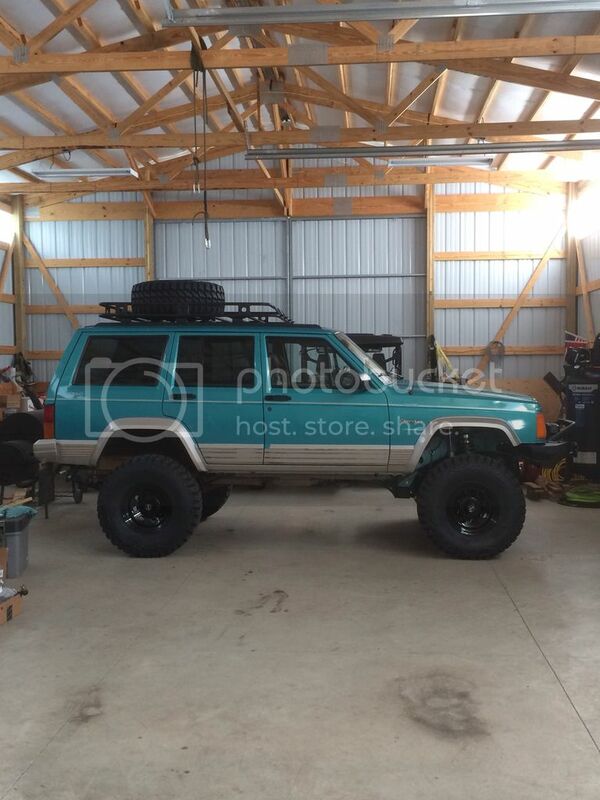 Starting to get her built! 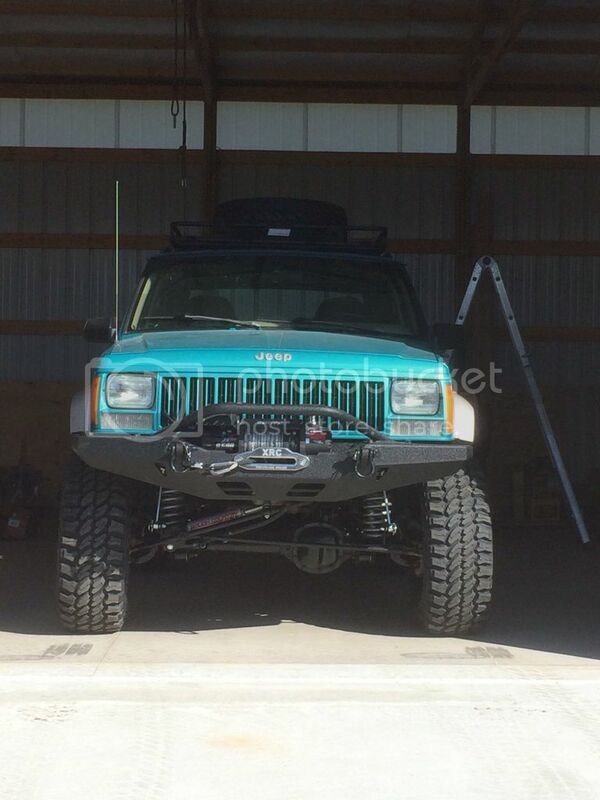 RC 4.5" X-series lift. Acos system, RC control arm drop brackets,RC rear shackle relocation brackets with RC shackles. XRC bumper and winch,Smittybilt defender roof rack. Waiting on my Tom Woods SYE and rear driveline. Also some JCR sliders,gas tank skid on back order , and just got the rear JCR quarter panel guards in today. I'm sick of yanking out 21 year old rusted bolts for a lifetime! I'm pretty sure my title says TEAL on it for the color. My buddies call it the Rainbow warrior! Anyone can build a Jeep like this. Just cash in your retirement and start ordering parts and wrenching! I'm just outside of Kalispell. I'm in Billings. New to the forum, just bought my first xj.